The outstanding ways in which Reaseheath College’s Health and Wellbeing team successfully supports the mental health and wellbeing of students and staff have been recognised by the Association of Colleges (AoC). The Nantwich college’s team of experienced professionals was a runner-up in the Mental Health and Wellbeing category of this year’s national AoC Beacon Awards, which showcase best practice and innovation among colleges nationwide. The award underlines the important work that colleges do to counter the recognised rise in mental ill health among students and the general public. 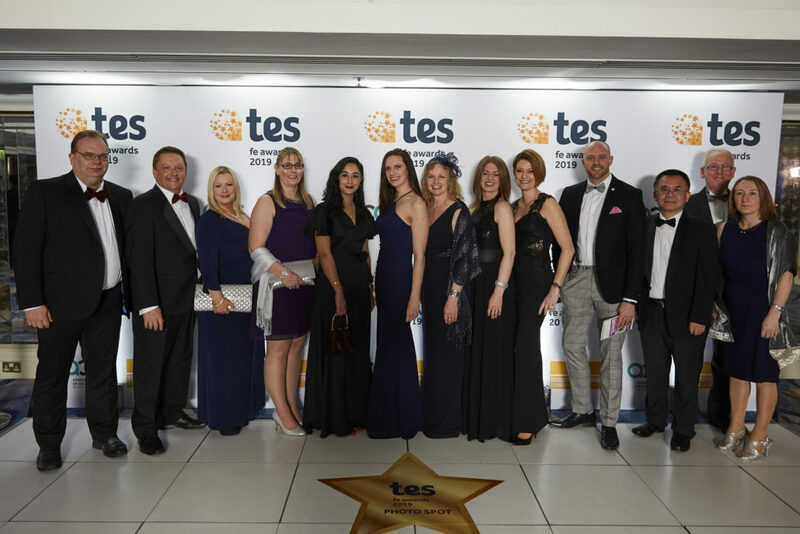 It was announced at the TES FE Awards in London last week. Recognised as one of the country’s leading technical and land-based colleges, Reaseheath has successfully implemented a ‘whole college’ approach to mental health and wellbeing which is aimed at establishing a safe, happy and healthy community on campus. The college is committed to supporting students and staff with mental health issues through dedicated resources and expertise focussed on education, prevention, early intervention and referral to external agencies if required. Professionals in Reaseheath’s Wellbeing Hub actively promote a positive culture, mental wellness, workplace wellbeing, healthy lifestyles and a safe environment and behaviour. This has led to a supportive college environment where students can discuss and be informed about mental health matters, drug and alcohol awareness, internet and social media safety and sexual and social relationships, empowering them to feel secure and able to learn. The dynamic approach has resulted in increased student retention and achievement, students with learning difficulties and disabilities achieving well above national averages and the vast majority of students reporting they feel safe on campus and that they have grown in confidence. There has also been a reduction in staff turnover and sickness levels. Assessors who toured the campus and received feedback from students, staff and external stakeholders were particularly impressed at the growth and strength of the service. Nicola McCleave Reaseheath’s Health and Wellbeing Manager, said: “I am delighted that our team has been recognised for this prestigious award. We received amazing feedback from the judges and I feel very proud that we have achieved so much in a relatively short space of time. “At Reaseheath we recognise the importance of investing in the health and wellbeing of our students and staff and we have set out to provide a safe physical and social environment which makes the most of our land-based setting. Reaseheath Principal Marcus Clinton emphasised: “This is a real endorsement of our hard working and inspiring Health and Welbeing team. We are very proud of them. Reaseheath is all about community, and the support we offer to all our students and staff is truly exceptional.